Hello lovely and welcome back to travel Thursday. Or if you’re new to my blog, thank you for visiting and welcome! It’s a bit late but I wanted to share with you places I would love to visit before the clock strikes 12.01am next year! Some I have already booked, in the process of planning or just wishful thinking. You’ll just have to come back to see which one’s I manage to tick off. 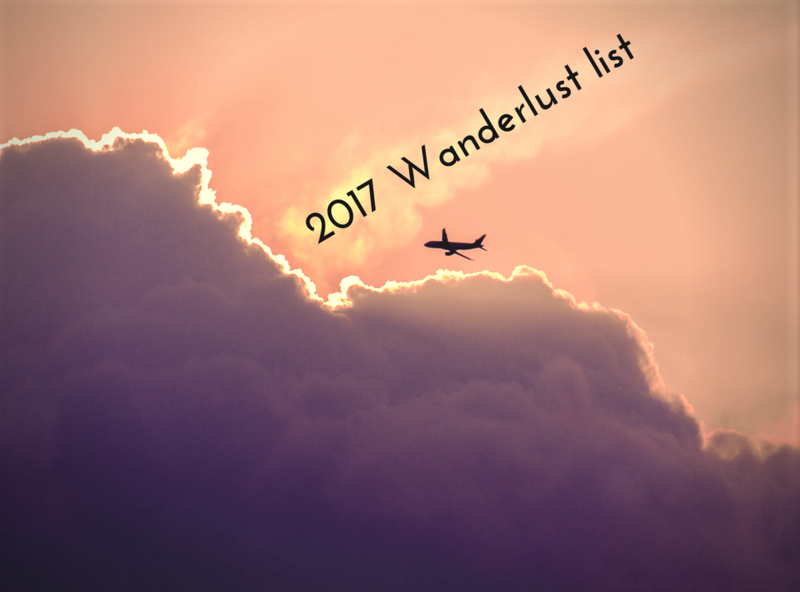 So here’s my 2017 wanderlust list! I was briefly in Miami a few years ago, 24 hours to be exact and didn’t see much. However, after seeing copious amounts of pictures swirling around the tintyweb (the internet), it has hit my 2017 wanderlust list. The reason I’d love to visit there; apart from the beaches and amazing weather, is to experience the food, nightlife and just the all round beautifulness of the place. Plus I think I was heavily influenced by watching too much CSI Miami! Less than 3 hours plane ride from the UK and I still have yet to visit this part of Spain. What is wrong with me? I’ll tell you what’s wrong with me, I’ve been waiting for someone to go with and I need to change that. I love to travel with someone so I can share memories and moments with them, but the reality is that people have lives and I can’t wait for them and neither should you. I digress…sorry! Back to Barcelona. Visiting the Gaudi museum in person is at the top of my list. I also want to have authentic tapas and sangria. I want to stroll along Las Ramblas soaking up the atmosphere wearing a dress with ruffles, red lipstick and a big smile on my face, because I’m so happy to be there. I’ve mentioned this before (here) and who knows I just may get to see this place ;). Thailand holds so much mystery, history, beauty and everything this girl could ever want. I’d love to go see the floating markets, even though I’ve read that it’s a let down…oh well! The food is also a huge draw for me as well as visiting the plethora of beaches. Plus there’s a 64ft gold Buddha that I want to see with me own two eyes! Can you imagine seeing that with your own 2 eyes? I can!